2019 marks the 26th Annual CFI Flooring Convention and Expo. 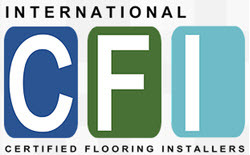 Since 1993, CFI has been the trusted source and #1 destination for the latest information on new products, tools, techniques and training for the flooring professional. The CFI Convention offers extensive seminars and hands-on workshops taught by leading industry professionals as well as numerous networking opportunities with executives and colleagues from across the globe. Educational Seminars- Top keynote speakers provide insight on current industry issues. Hands-on Workshops- Installation professionals offer proven installation tips and tricks. New Product Demos- Get your hands on the latest flooring tools and products. Connect with Industry Pros- Expand your professional network and have fun!